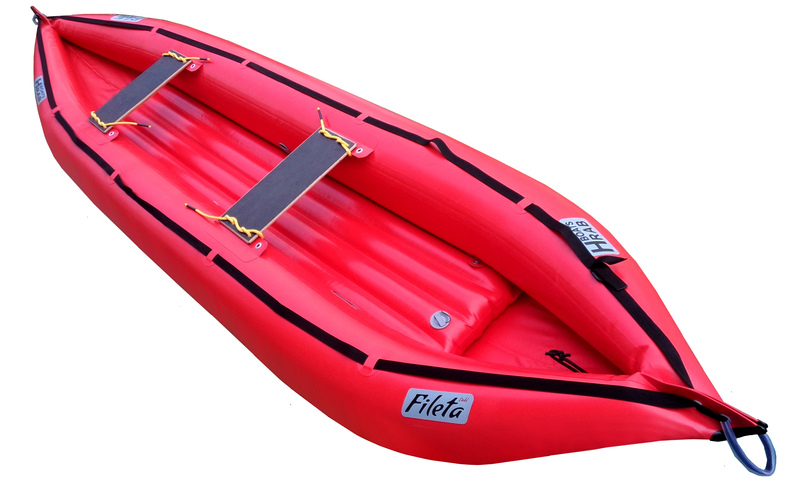 The Fileta Tandem inflatable canoe boasts a new design while keeping exceptional tracking performance of her older sister. It offers great stability in waves and is easily maneuverable with brilliant turning performance. 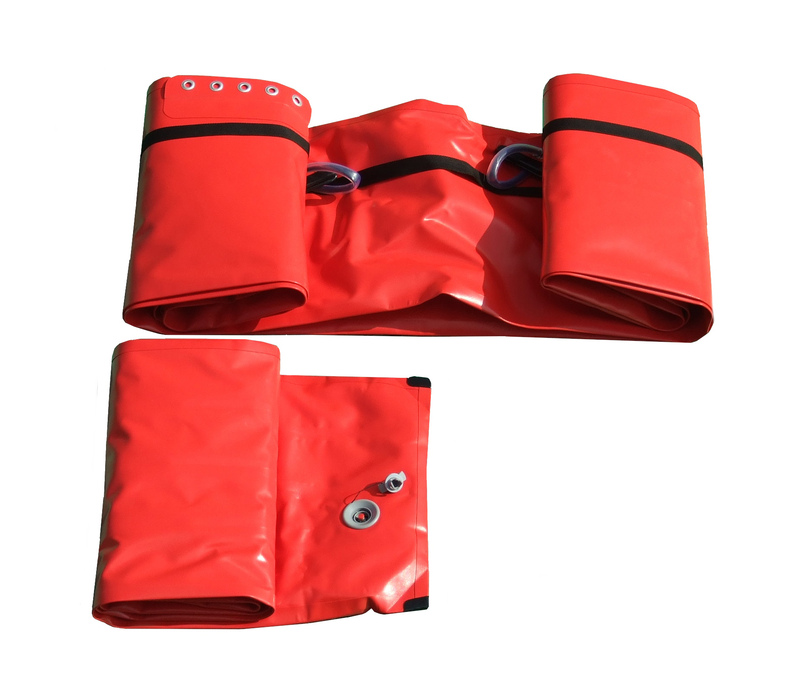 The Fileta Tandem is equipped with a self-bailing drain sleeve which can be fully closed. 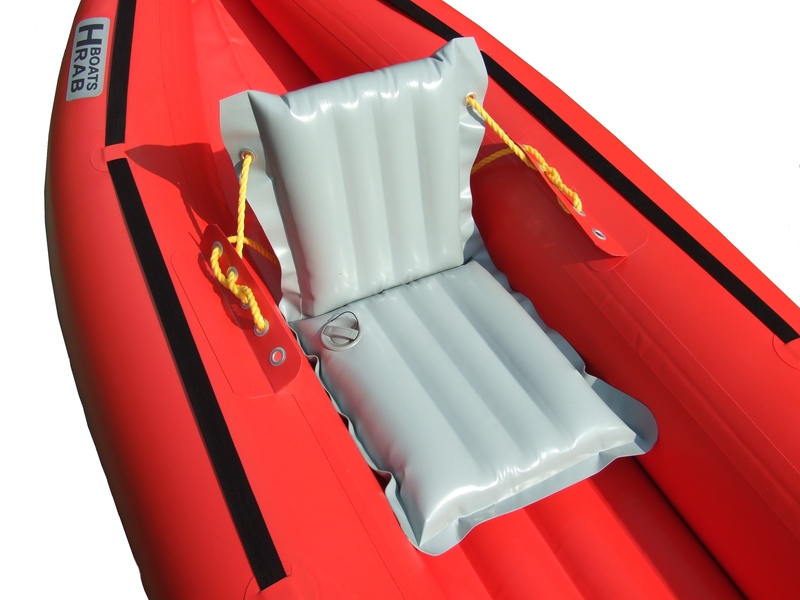 Should your legs hurt from paddling kneeling down, just replace the plywood seats with inflatable ones with backrests. 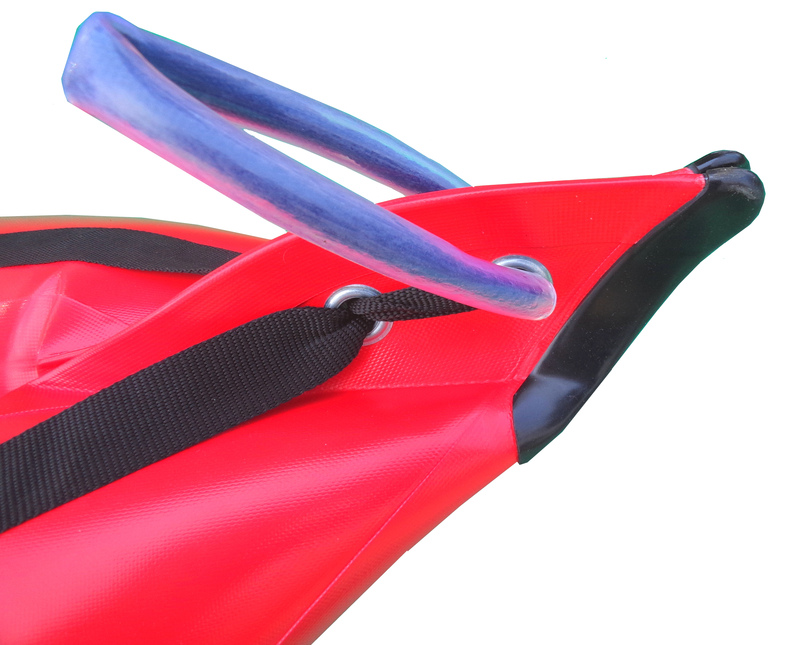 Once the backrest is tied in place you are good to go. 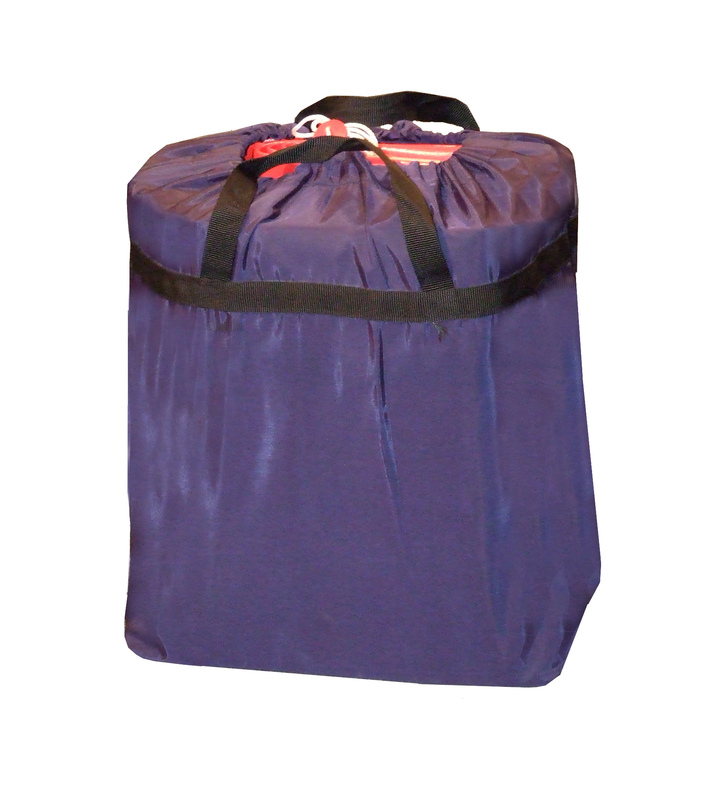 The Fileta Tandem is very popular for its light weight and small size allowing you to pack it away in its duffel bag, put it on your back and head for a new adventure. 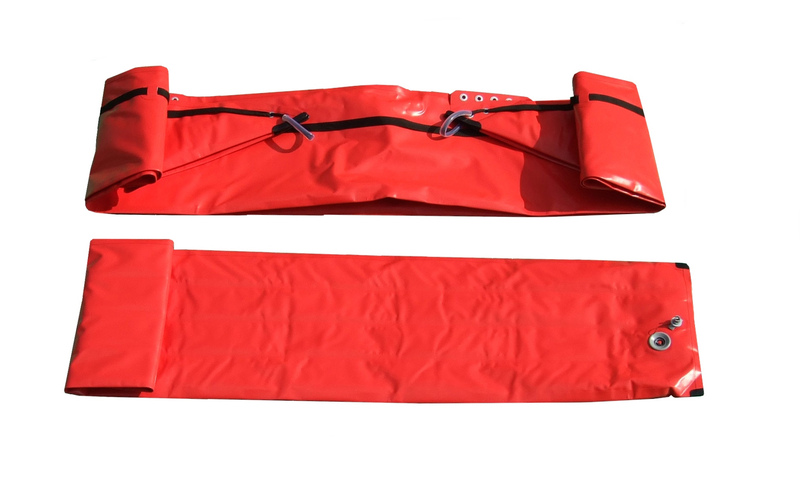 The Fileta Tandem is designed for moderate to fast moving rivers (Class I – III) as well as for recreational use on lakes and along the seashore. The material used and the flat bottom make the hull very stiff and rigid. 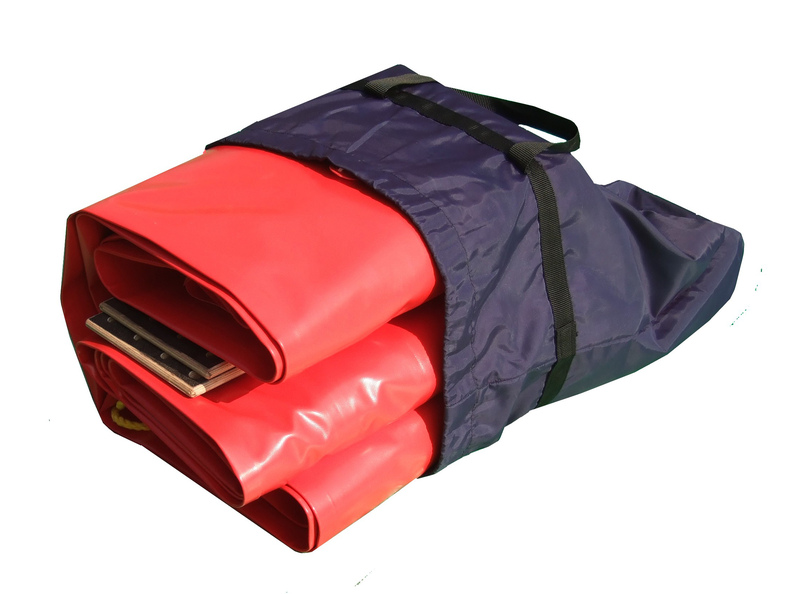 The Fileta Tandem further benefits from an inflatable floor panel - a unique functional feature – inserted between side air chambers on the floor, thus creating a double floor. 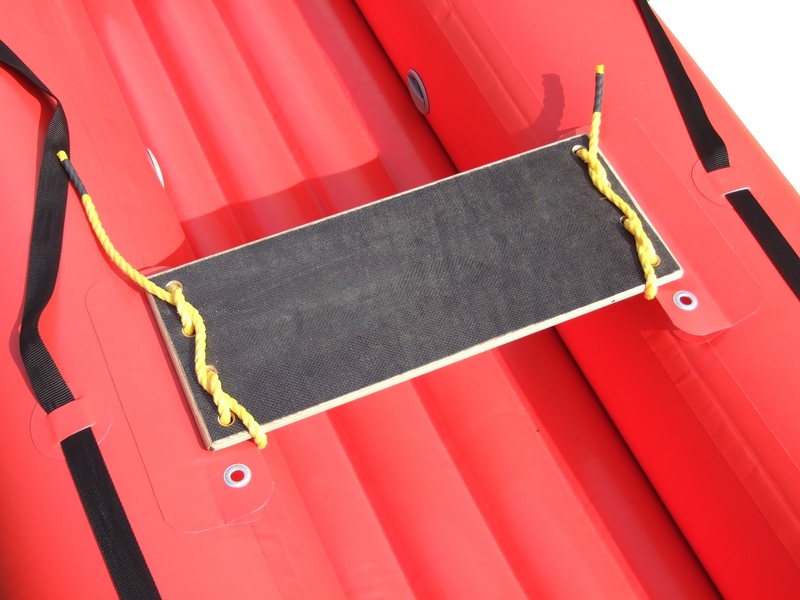 This feature enhances stability, turning performance, and even allows the canoe to go through shallow waters. It also improves durability and puncture resistance. 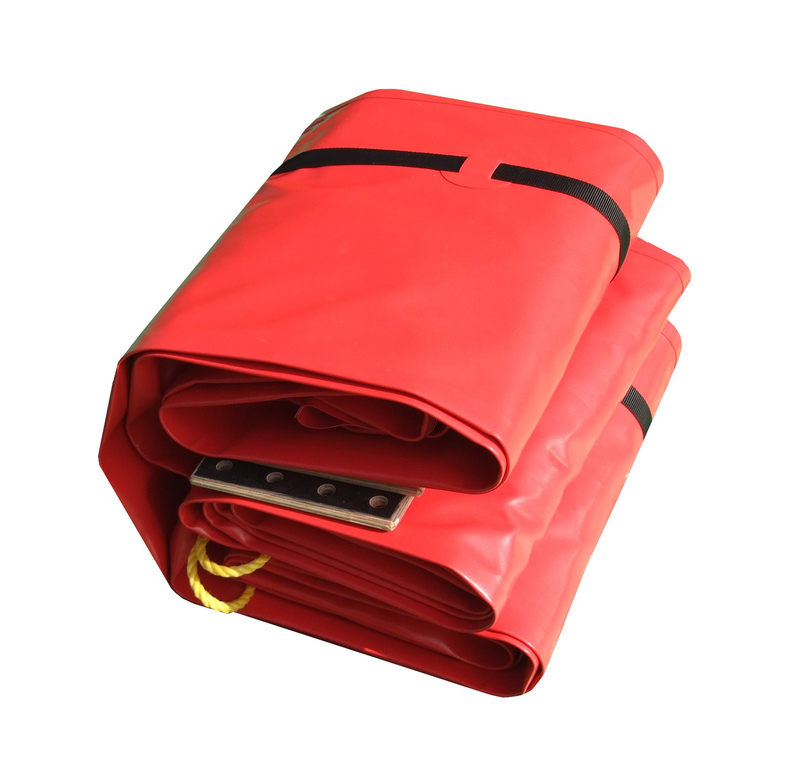 Should your inflatable floor panel get damaged, you can easily replace it with a new one without any hassle. 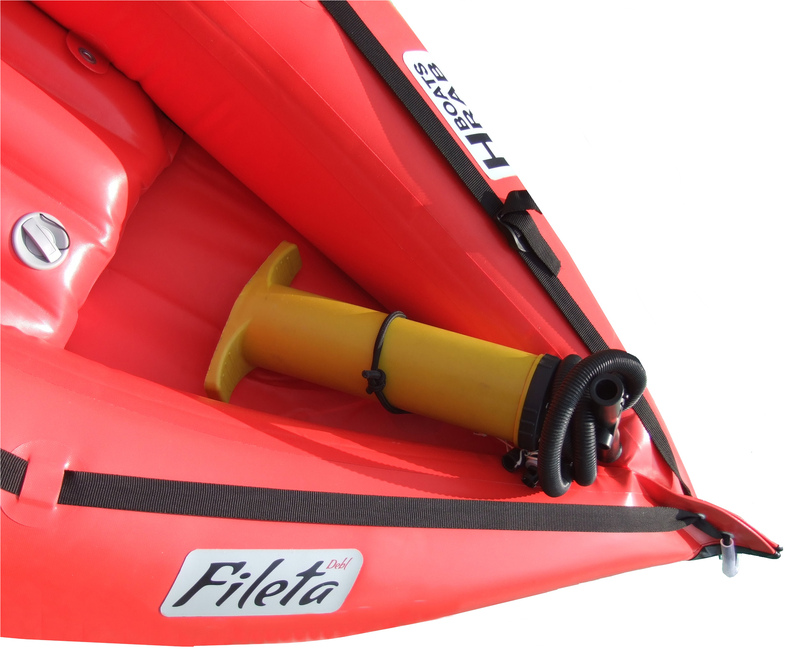 The Fileta Tandem is equipped with a self-bailing drain sleeve in the stern of the canoe which can in no time be fully closed by pulling it into the canoe and securing it with a buckle, thus keeping water away on calmer waters. 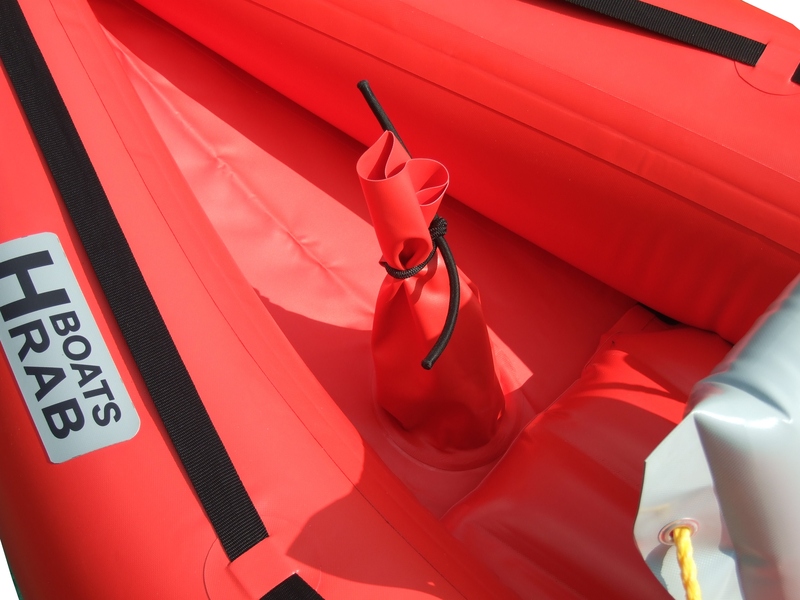 Moreover, it offers a safety grab line on the sides, grab handles in the bow and stern for transport, and rings for gear tie-down. 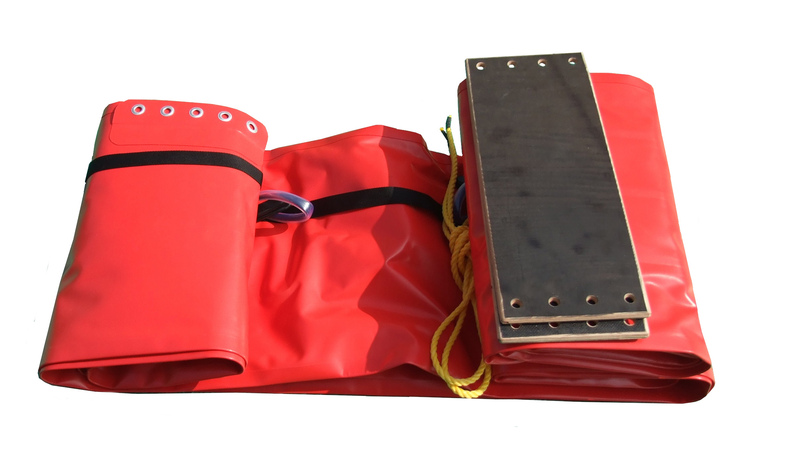 We also offer customized versions including a centre thwart for solo paddlers, thigh straps, sun/rain shelter, and a frame for mounting the engine. 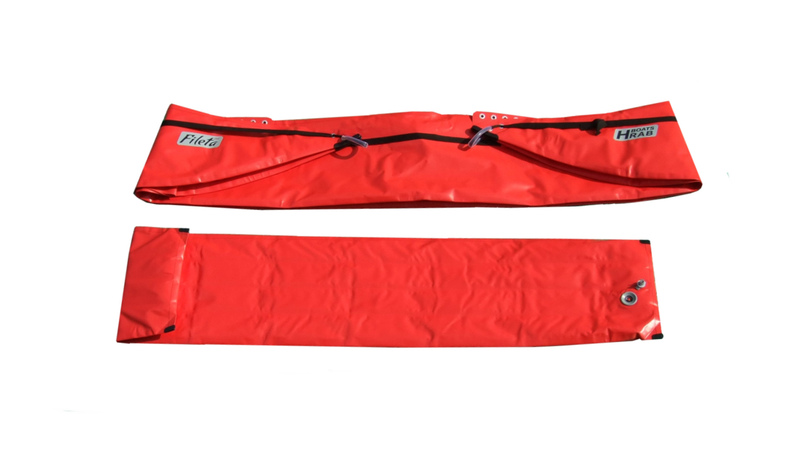 The Fileta Tandem is also available in a shorter version for solo paddlers as The Fileta Single.